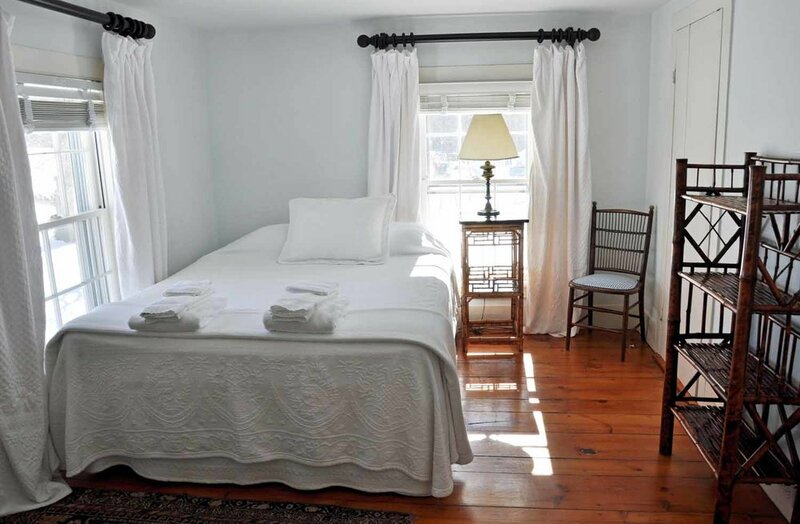 Immediately upon entering the Lower GuEst House, there's a sense of architectural indulgence, as the property has gone through a beautiful renovation with a clean, modern appreciation for simplicity and architectural integrity. It's all in the details. 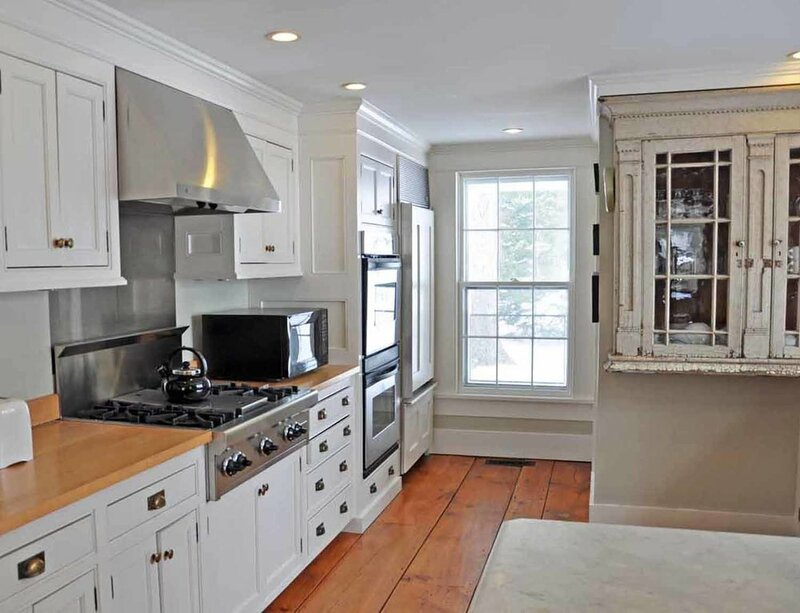 The large modern kitchen enjoys a lovely antique cabinet installation. Floors on the first level are wide wooden planks from an earlier time. Ceiling beams in the dining room and a tall antique clock add to the mood of graceful renovation. Moving to the family room and living room, the atmosphere is one of comfort and freshness, with over-stuffed yellow upholstered sofas - two of them in each room. The family room is ideal for games because of the L-shaped sofas and wall-mounted flat screen television. A large stone working fireplace is in the living room - the perfect spot for conversation, with plenty of seating and large windows for light. Four bedrooms and two bathrooms are upstairs. Attention has been paid to architectural detail here, too, with refinished wood ceiling beams in two of the bedrooms; attractive green in a bedroom with four-poster bed; brass twin beds in another bedroom; a clean, light third bedroom overlooking fields surrounding the home; and a fourth master bedroom with equestrian prints and paintings, a small writing desk and antique chair. A hidden staircase leads to yet another floor, the loft, drenched in light and an ideal place to spend time, watch television or read. Twin beds, two sofas, and an extra single bed in a corner across from the twin beds make this space both practical and delightful.